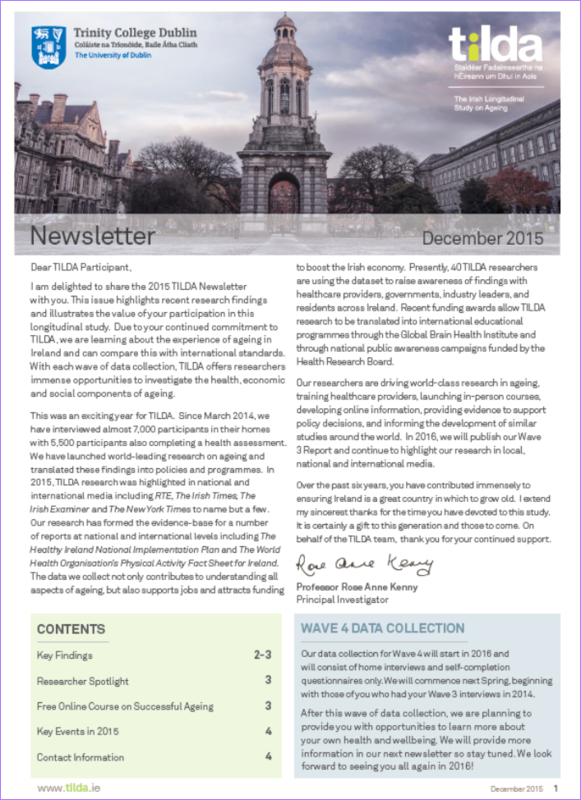 Articles include key research findings over the past year, including the prevalence of undiagnosed disease and the impact of TILDA research on traffic signal settings. Notable achievements and events are recognised in this new look edition, such as the forthcoming free online course Strategies for Successful Ageing and our involvement with the launch of the Global Brain Health Institute. In this edition we also shine the spotlight on researcher Dr. Catriona Murphy and her work in the area of cardiovascular health.